Let me introduce you to my new friends. Say hello. I wrote a post a few weeks ago about different ways to approach the eating of custard. And now I am wondering whether, all over the world, people have different approaches to the eating of jelly beans. b) eat Jelly Beans one by one, checking which flavour each one is, then savouring it slowly to get the full exoticism of Hawaiian Pineapple, or the spiciness of Cinnamon? 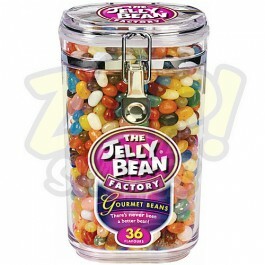 c) select Jelly Beans of the same flavour and eat a few at a time of, say, Wild Cherry or Passion Fruit? d) take a random handful of Jelly Beans, check that their flavours all mix, then eat them? e) scoop Jelly Beans out indiscriminately and eat them, not even bothering to check the flavours? f) scoop Jelly Beans out indiscriminately - as many as you can get into your palm - and eat them, checking the flavour descriptions casually to see what you might just have eaten? I am not telling you which one describes my Jelly Bean consumption habits. In my defence, I have been rather busy lately. Something else I need to tell you is that Jelly Beans don't go particularly well with wine. I was consuming both tonight while celebrating the fact that my book 'Being Miss'has now sold enough copies for Amazon Kindle to pay me £100 in royalties. [This has taken a year.] The celebrations were dulled a little by the odd combination of Pinot Grigio (the wine) with SouthSeasKiwiMarshmallowPeachyPieBubblegumRaspberryJamCandyFlossBlueberryPie (The Beans), but were cheerful nevertheless. Was slightly disappointed when my daughter bought me fudge instead of jelly beans this christmas (I hid it well and ate the whole pack in one sitting). I have favourites and being a bit OCD I carefully eat the ones I don't like so much first and save my favourites for last. Life of Pi is a fabulous book but the film does look excellent and am definitely going to see it. I eat jelly beans by stealing them surrupitiously from my kids. I haven't had a jelly bean in years, but when I had them I only liked orange. Congratulations on your new found and well-deserved wealth. Oz Clarke couldn't have described it all* better . But what a splendid reason for a celebration . Congratulations !! * perhaps one might almost say binge . I've read the life of Pi and really hated it, found it very difficult to follow. But the movie was a triumph, magical and deserving of being called one of the best movies of the year. I highly recommend it. Take care and Happy New Year. I hated Life of Pi, too, and so did The Hurricane. I doubt if I'll see the movie, at least not for a long time, as I've seen my one movie in a theater and won't go again for at least 12 - 18 months. No I don't eat jelly beans at all! Yes I do drink wine! I just make big eyes at the doctor when he offers one to my kids after a needle, hoping he will give me a jelly bean from the jar. I don't feel I can be choosy about the colour. Congratulations on the book deal/money thingy. I don't like jelly beans though. I loved Life of Pi but the rest of the book club members didn't like it as they thought the twist at the end ruined the whole book ! No imagination ! I am usually the odd one out on most of our books ! Join another book club? Actually, how about an online book club? There's an idea! I pick out the jelly beans I like. And then I may be reduced to eating the ones I don't like so much.